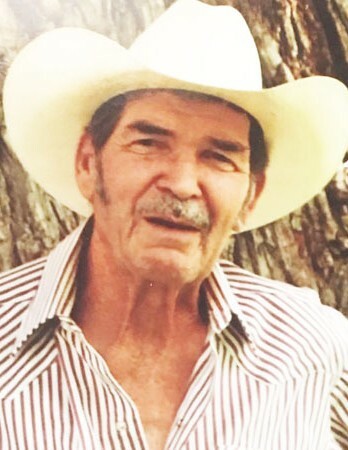 Byron Delos (Dee) Garrett Jr.
Our beloved Dad and Grandpa, Byron Delos (Dee) Garrett Jr. of Nephi, passed away December 2, 2018 at age 81. Byron (Dee) was born October 25, 1937 to Byron Delose Garrett and Hazel Ann Morgan of Nephi, Utah. He graduated from Juab High School in 1955. He married Deanna Johnson (deceased) in 1955, then married Nelda Mcphearson (deceased) in 1975. He enjoyed sheering sheep until he physically could no longer do it. Retired from NRP. He was a devoted son husband, dad and grandpa, who enjoyed spending time with his children, step-children, grandkids, and step grandkids, either fishing, sledding, camping, or just spending time visiting with them, our yearly Garrett family reunion. He leaves behind 3 daughters, Launa and Ernie Gonzales of Santaquin, UT, Debbie and Marvin Morse of Orem, UT, Chris Garrett and Hub Seals of Craig, CO, daughter-in-law Pat Garrett of Spanish Fork, UT, sister-in-law Elena Garrett, Duane Memmott, also 5 step-children, Cindy of Dismmick, SF, Wesley and Patty Reynolds of Orem, UT, Cody and Karen of Salt Lake City, UT, Wendy and Sheldon Winder of Orem, UT. He has 16 grandkids, 2 on the way, 35 great grandchildren, 2 more great grandchildren on the way, 15 step grandchildren and their children, 2 nieces, and 3 nephews. Preceded in death by father Byron Delose Garrett, mother Hazel Ann Morgan, brothers James Morgan Garrett, Cleo Byron (Skin) Garrett, sister Iris Ann Memmott, daughter Luann Garrett, son Steven Craig Garrett, and nephew James Michael Garrett. Funeral services will be held Thursday, December 6, 2018 at 11:00 a.m. In the Anderson Funeral Home, 94 West 300 North, Nephi, Utah. Family and friends may call on Wednesday evening, December 5, 2018 from 6-8 p.m., also an hour before the morning services.